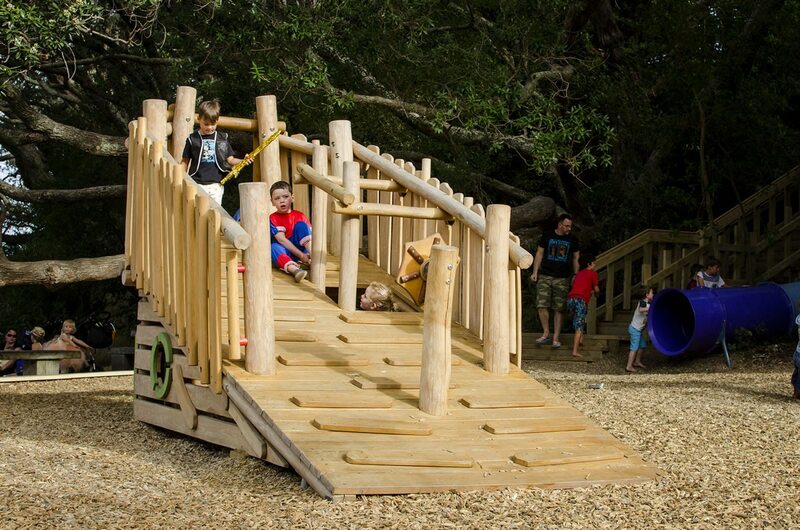 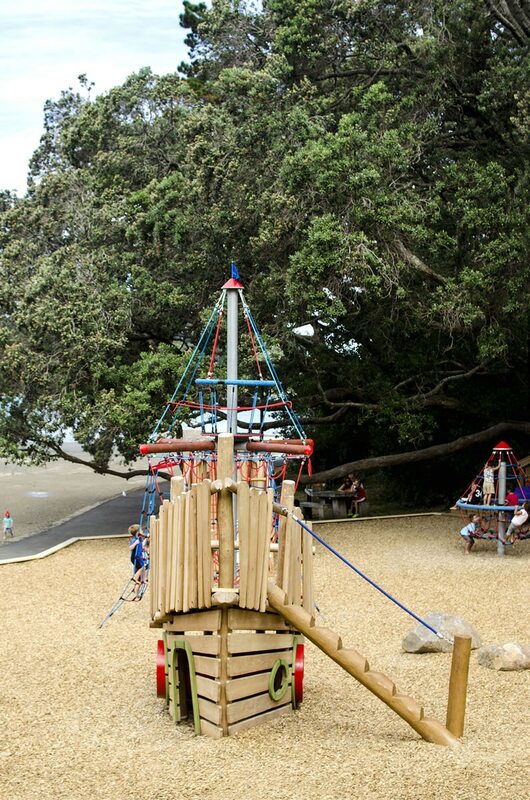 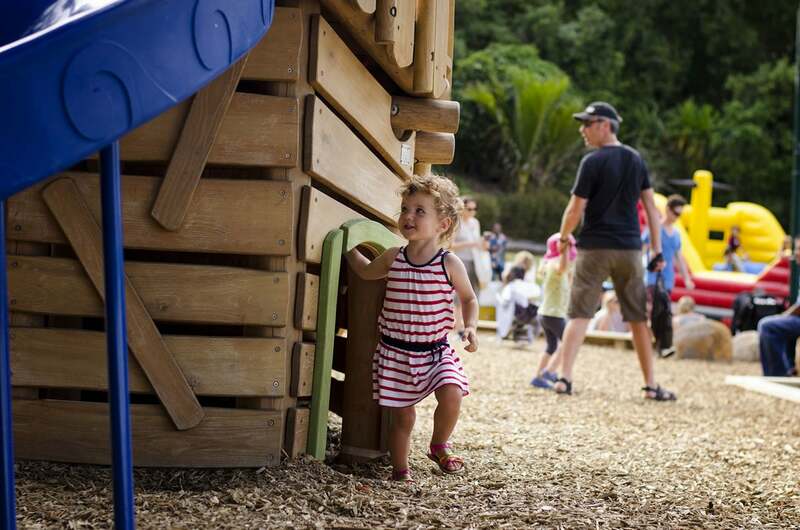 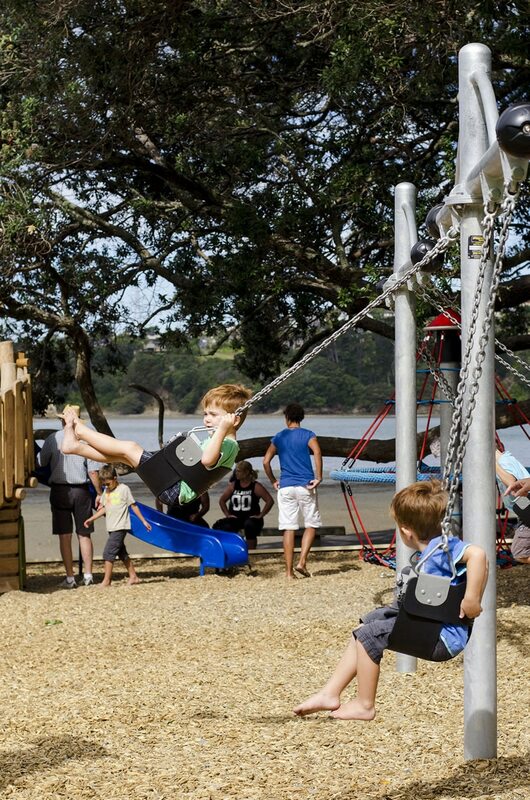 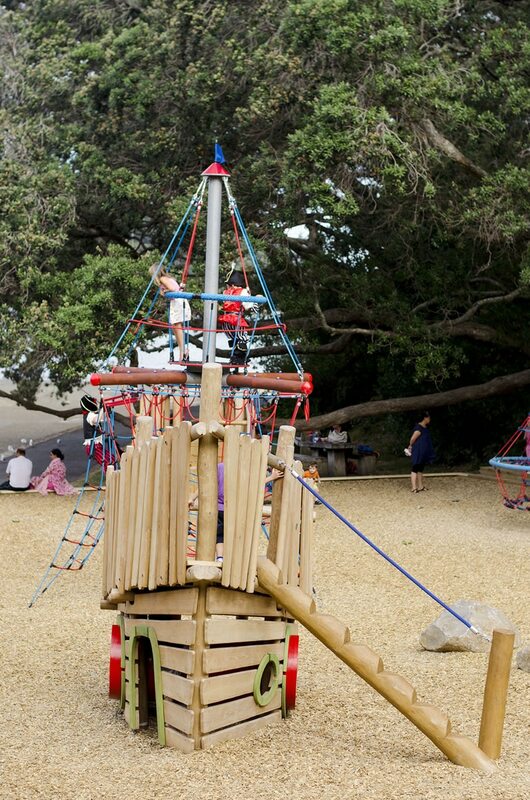 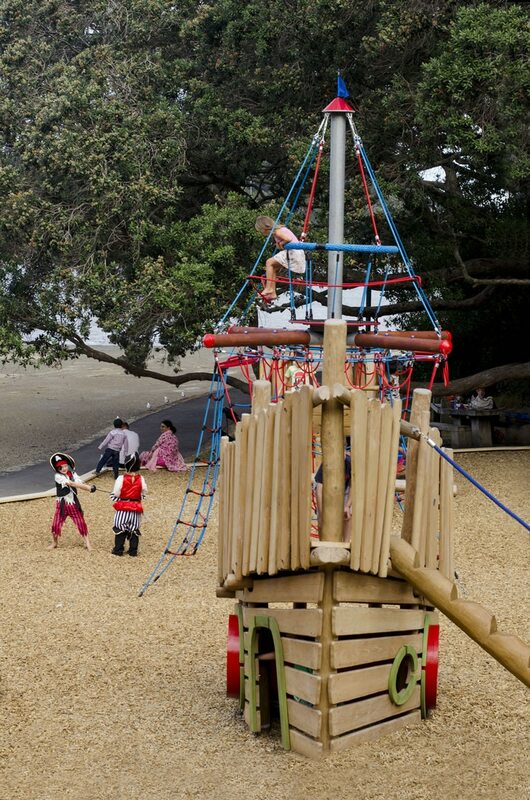 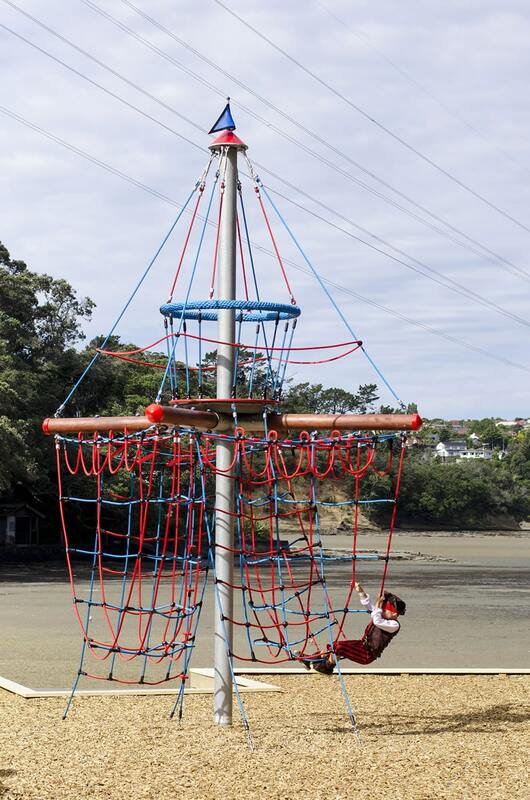 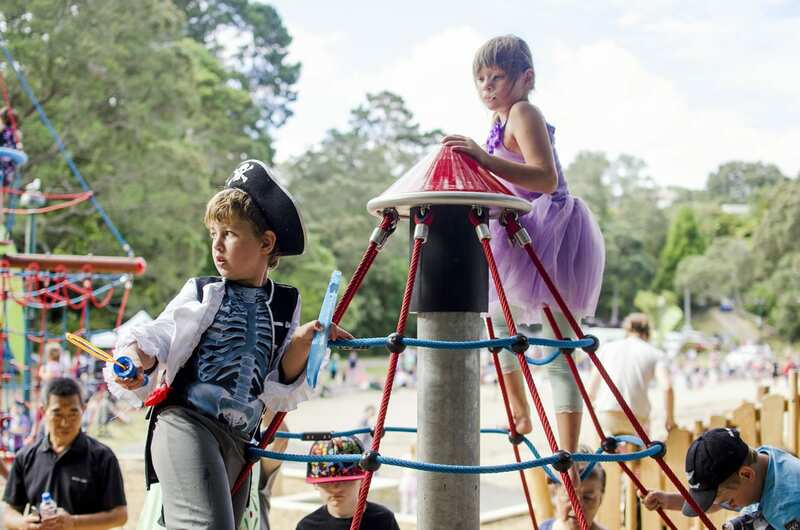 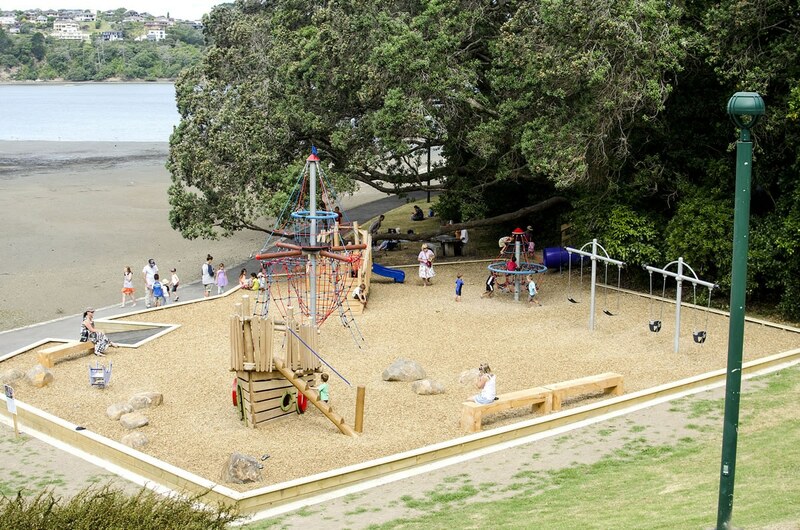 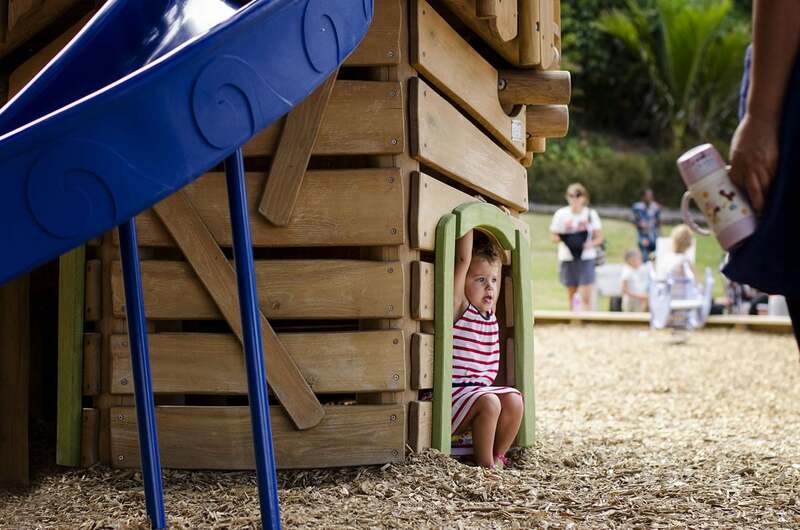 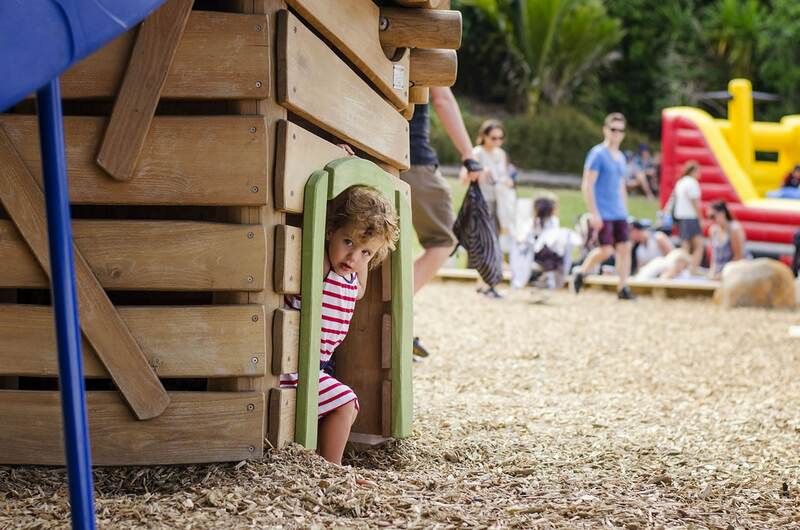 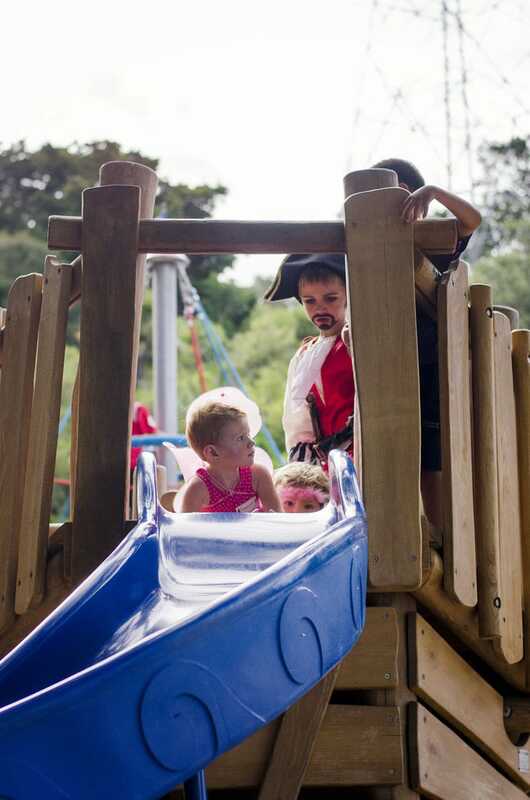 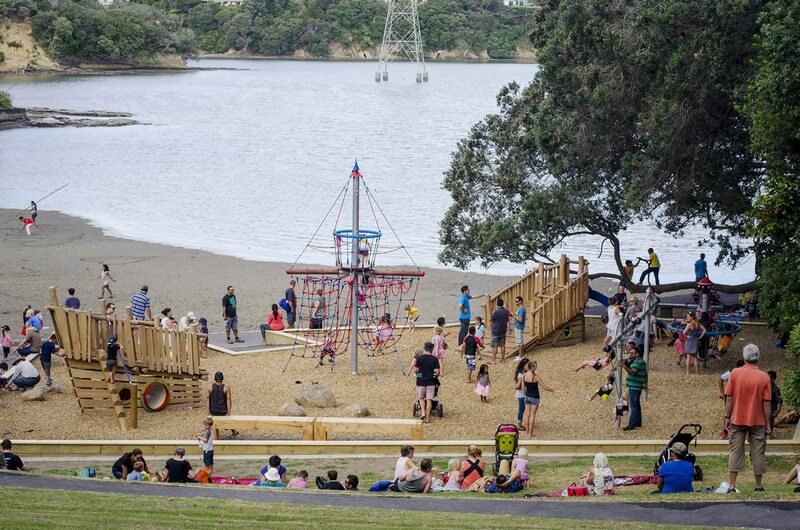 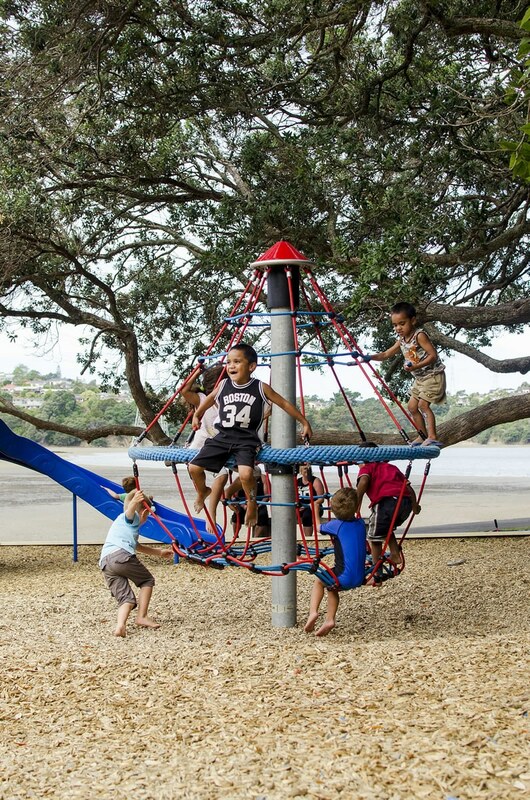 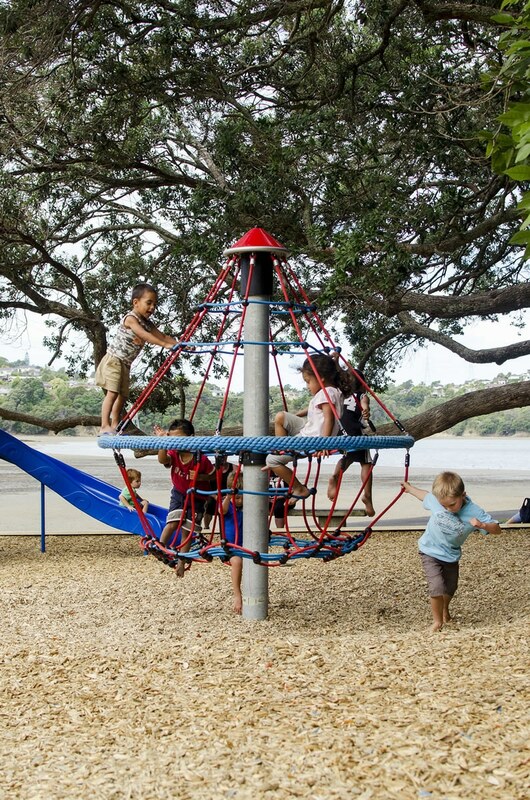 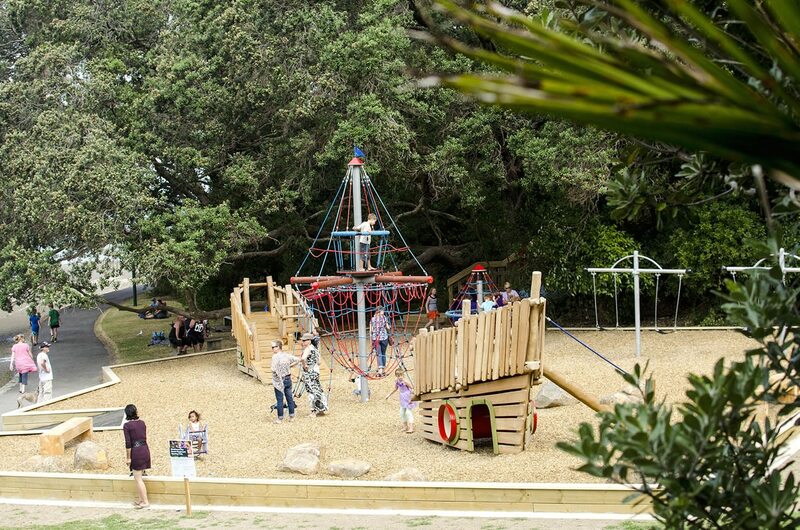 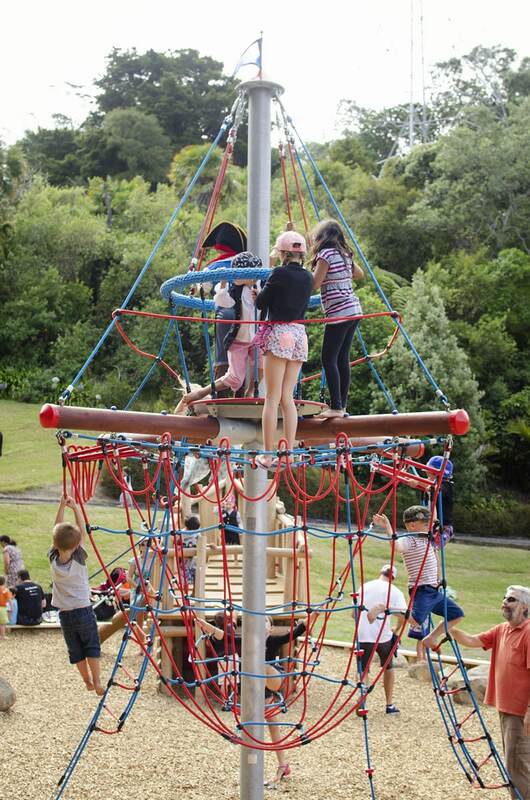 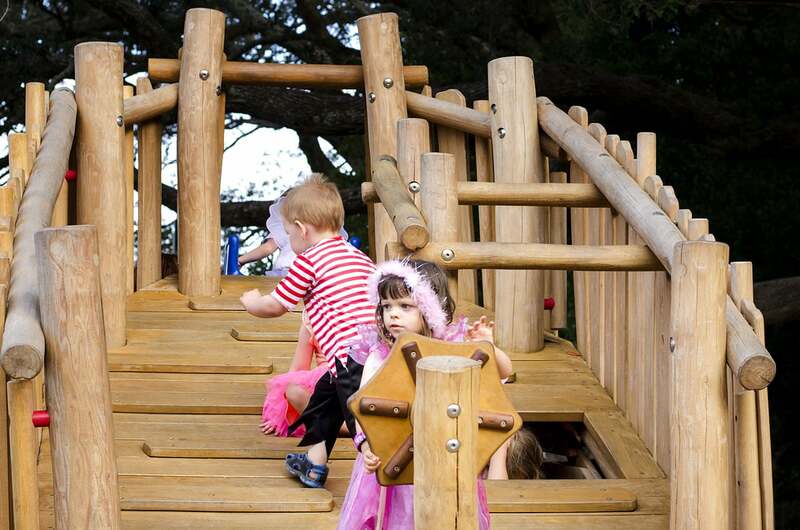 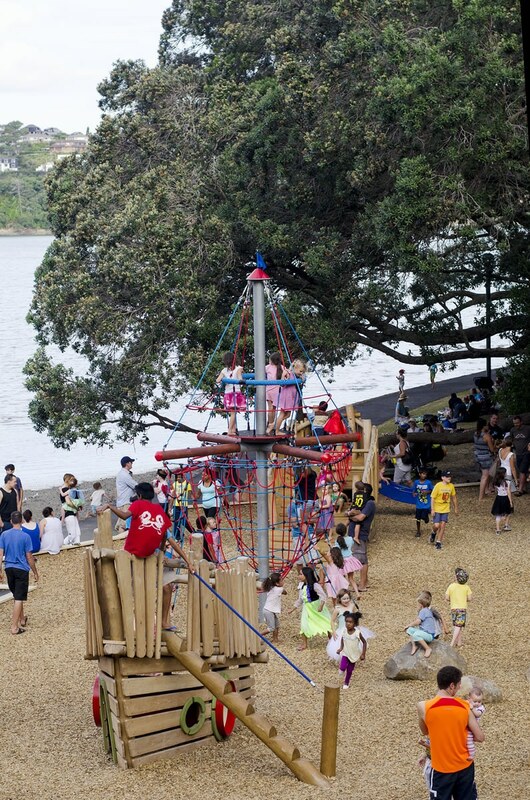 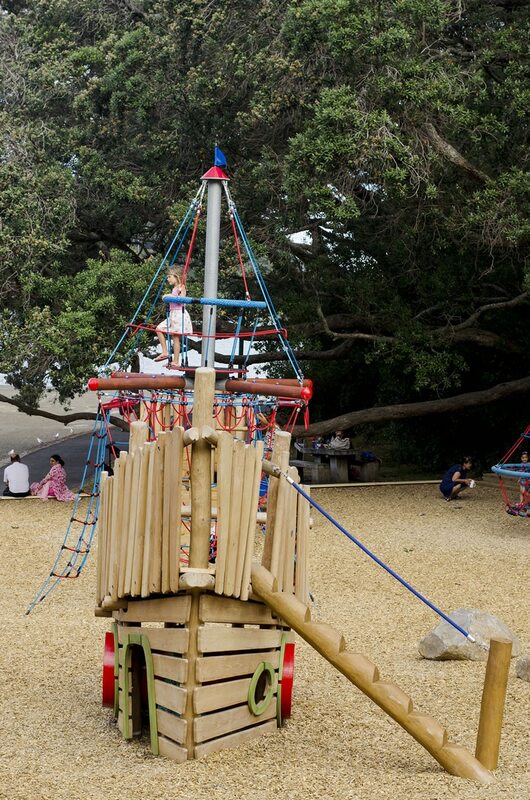 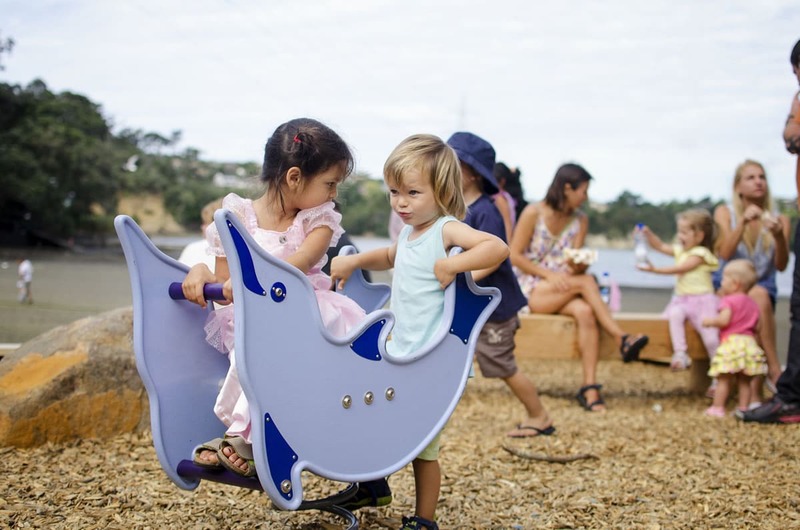 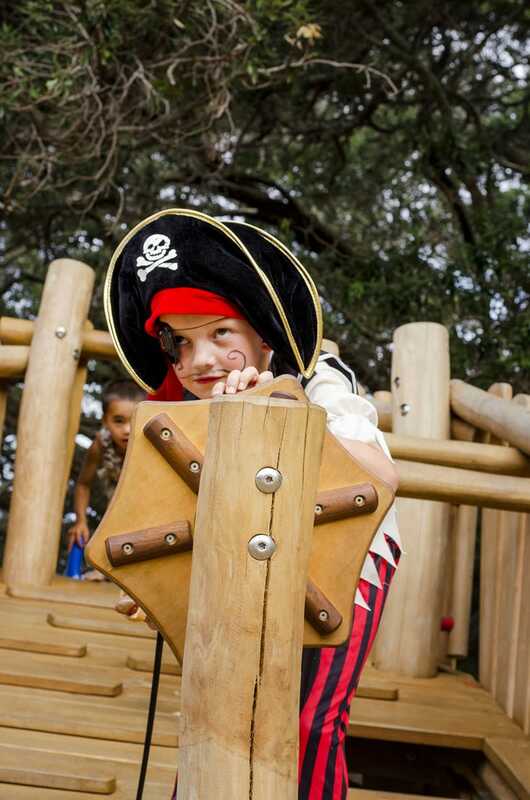 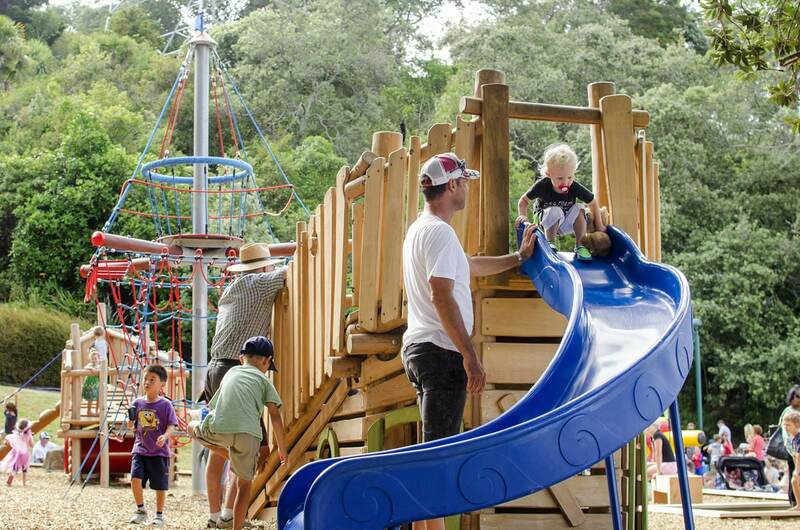 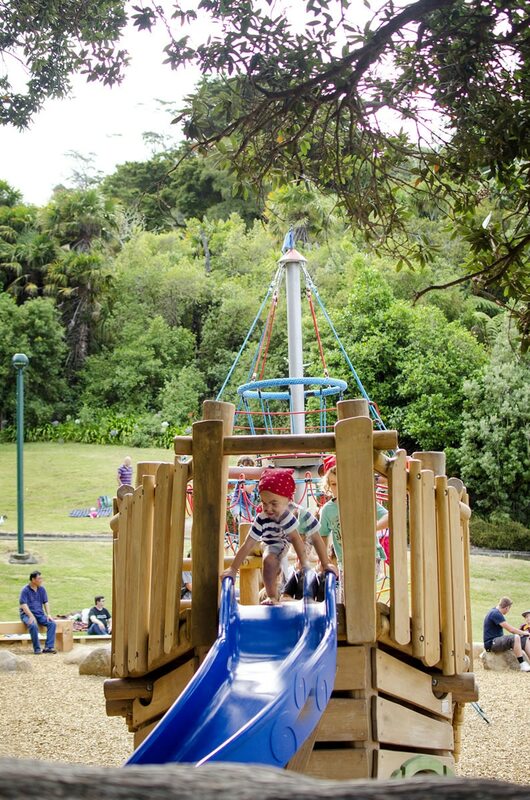 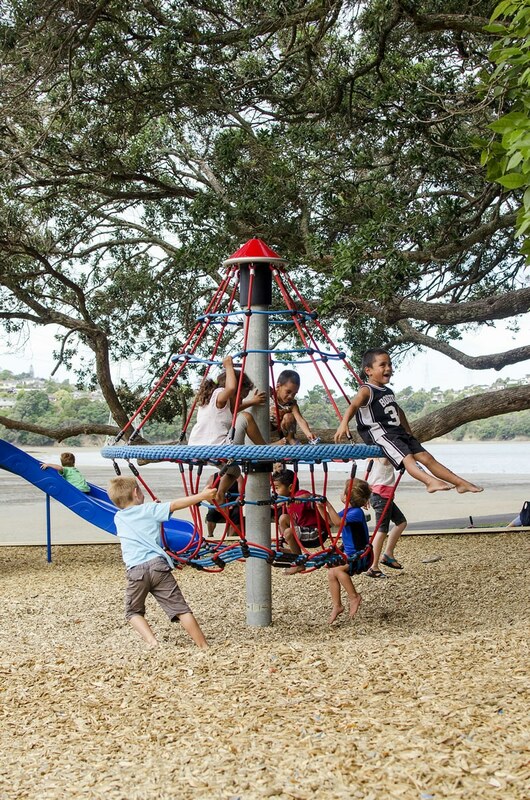 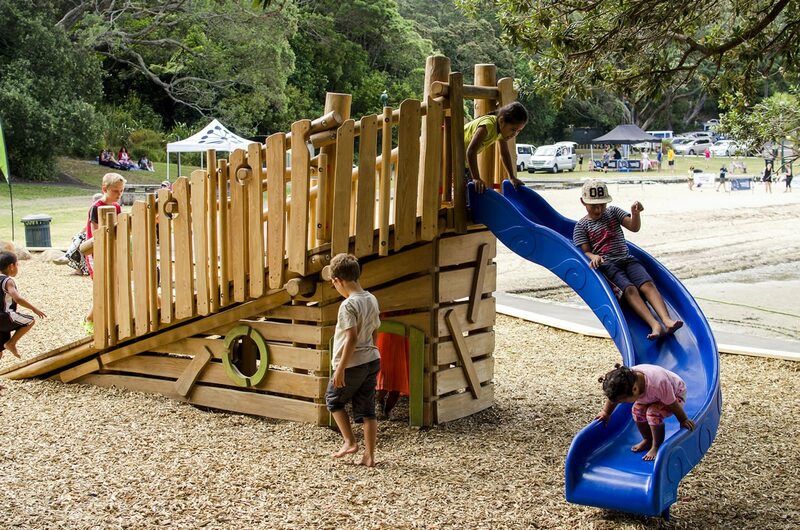 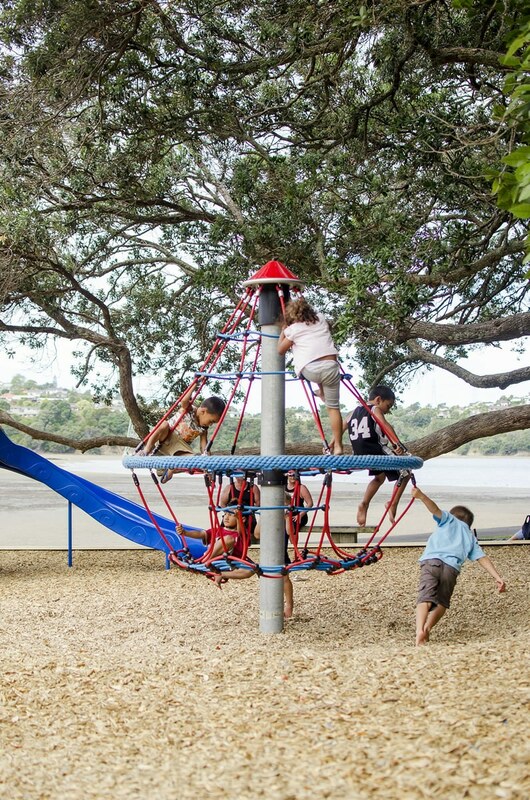 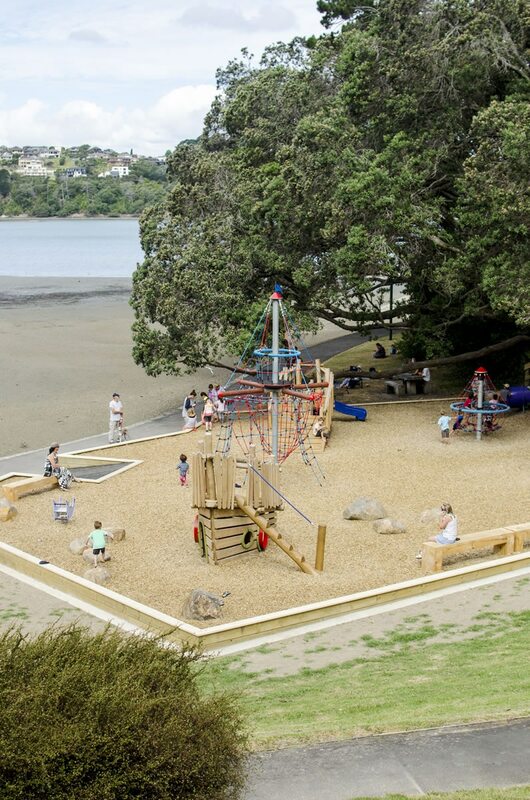 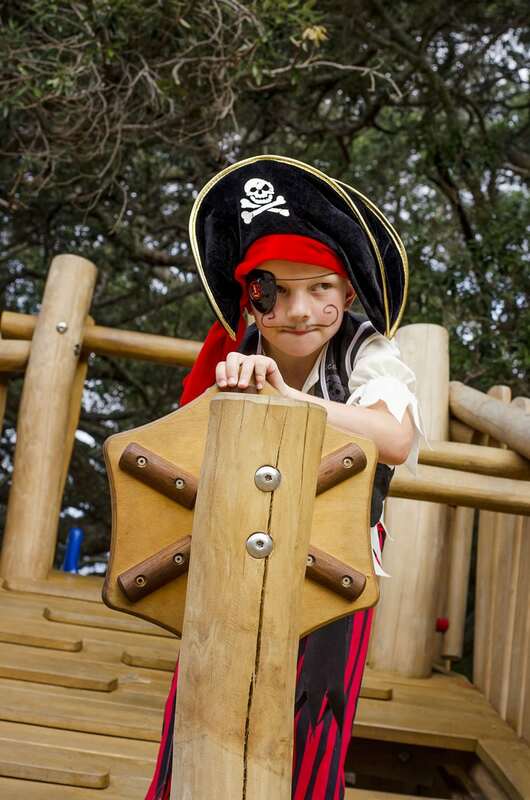 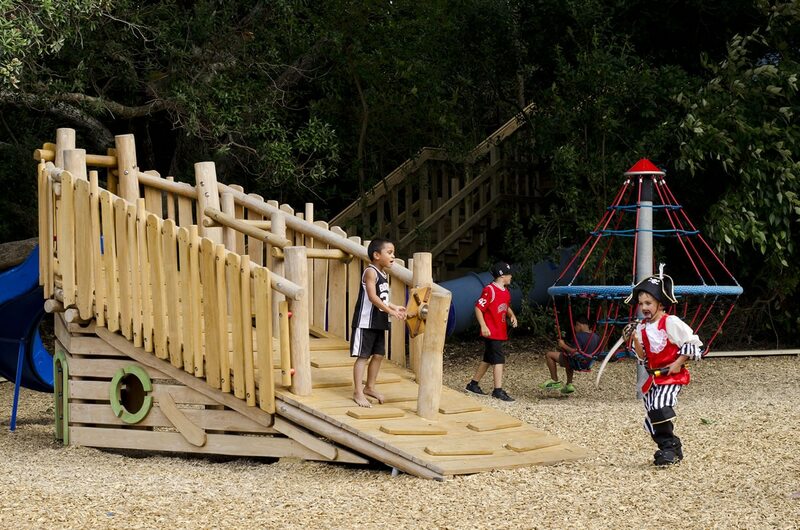 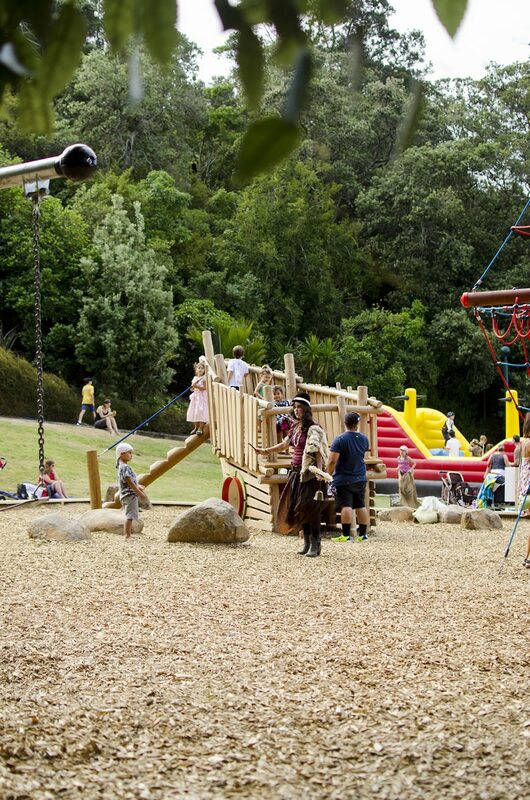 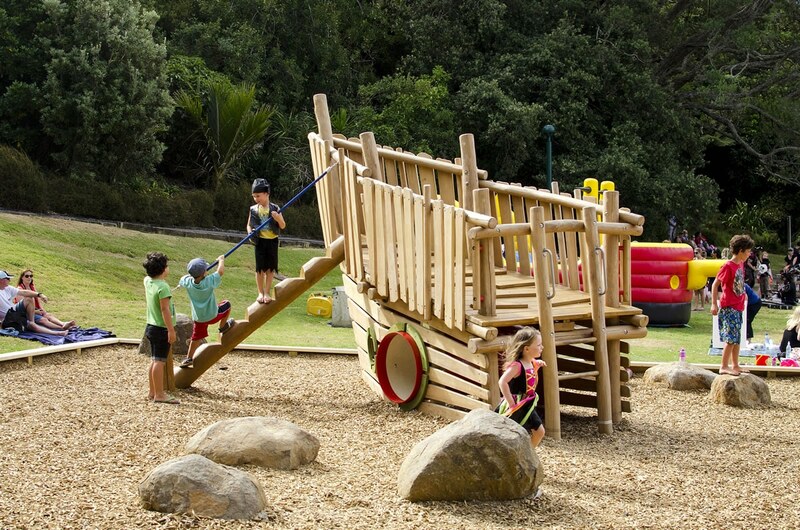 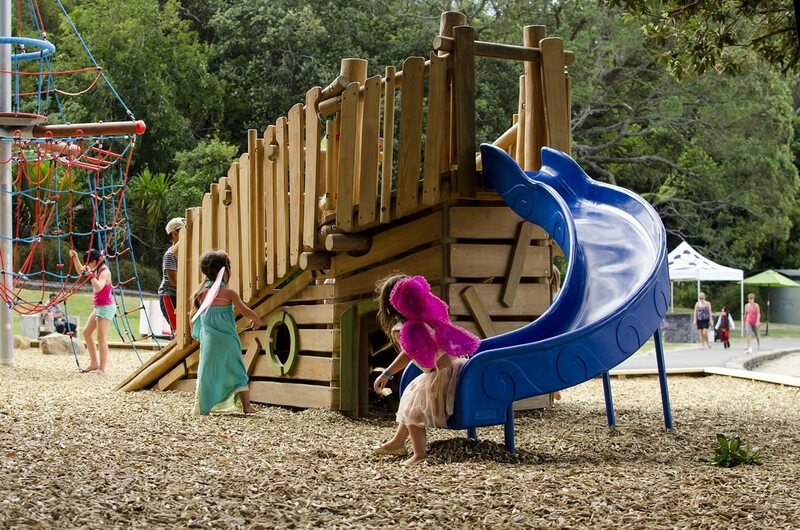 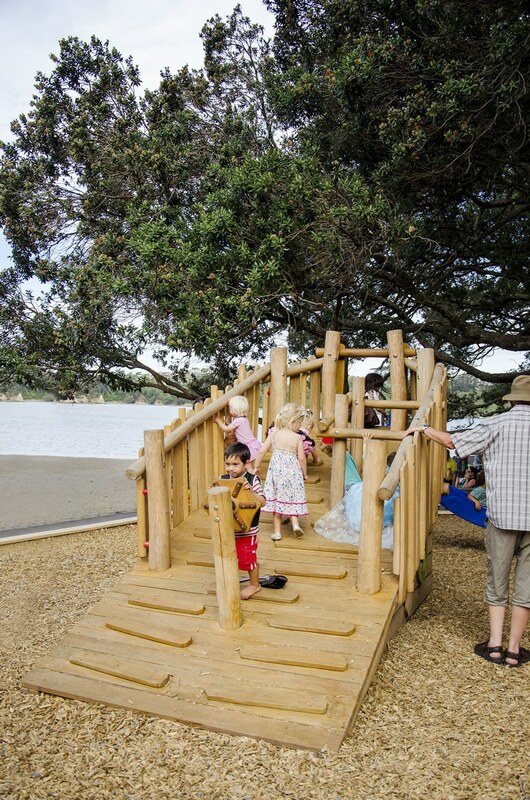 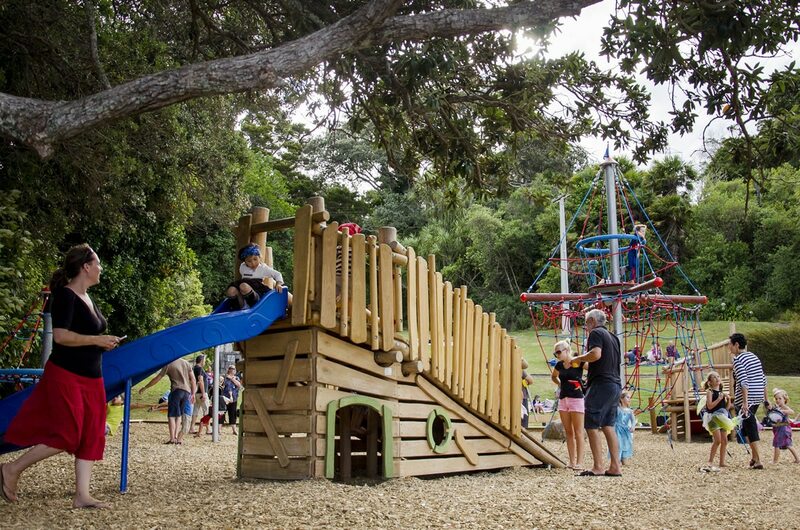 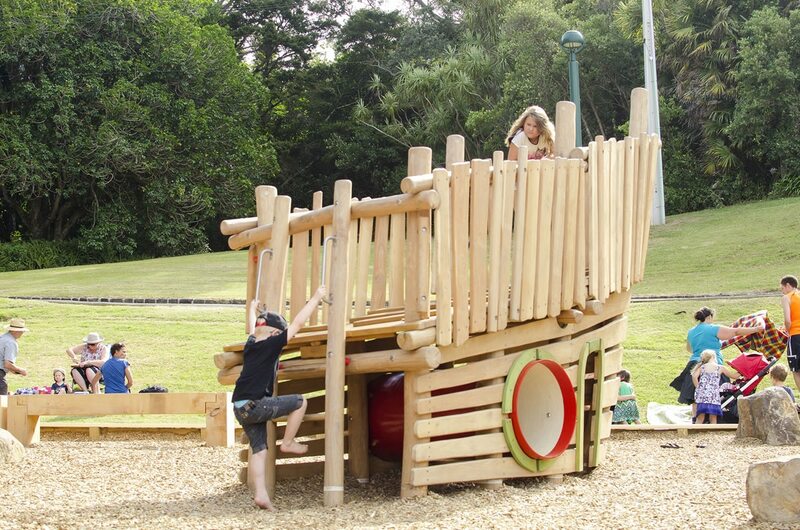 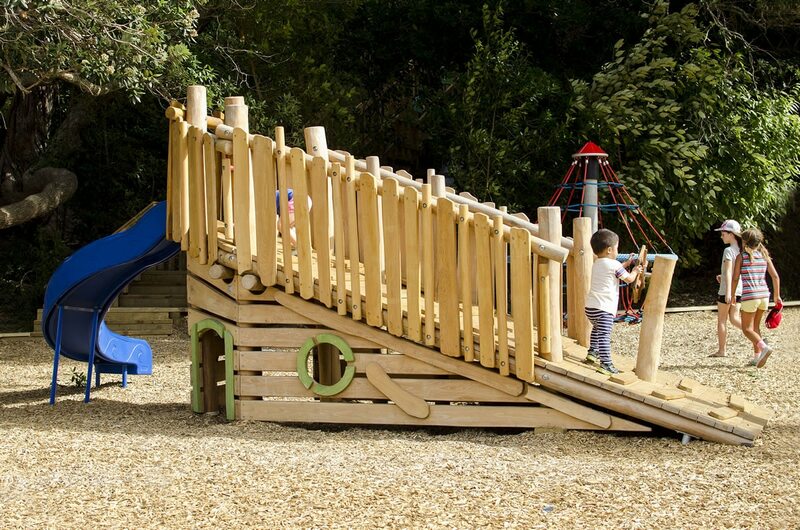 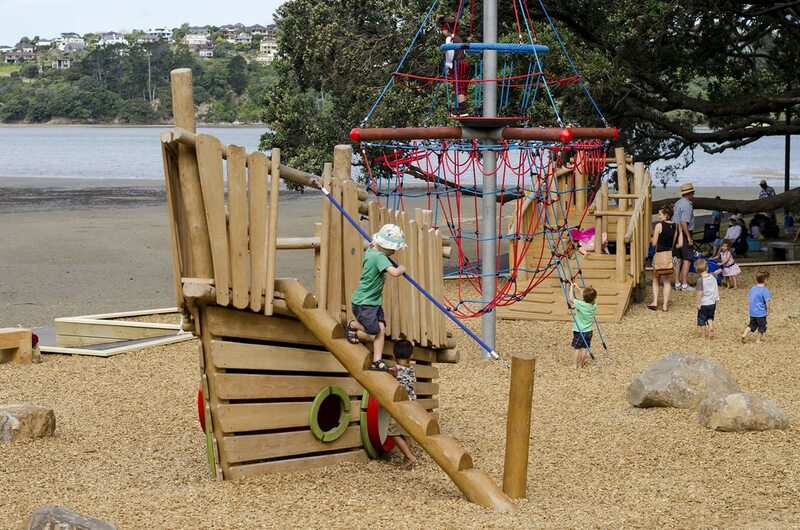 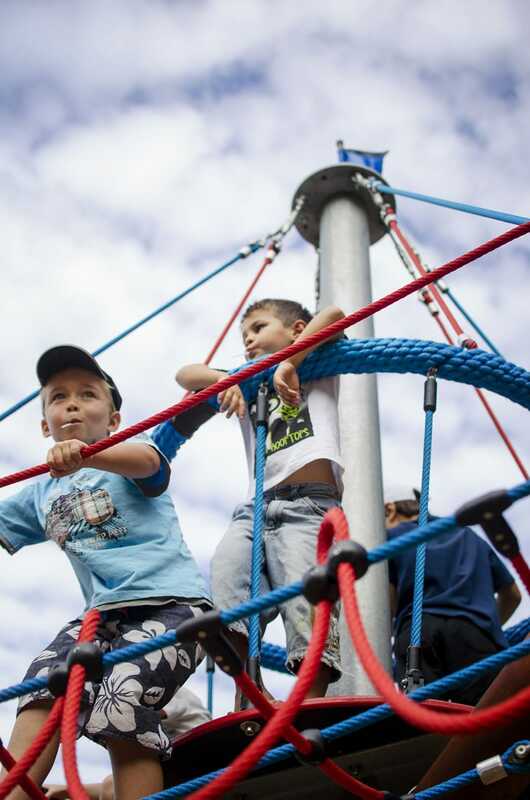 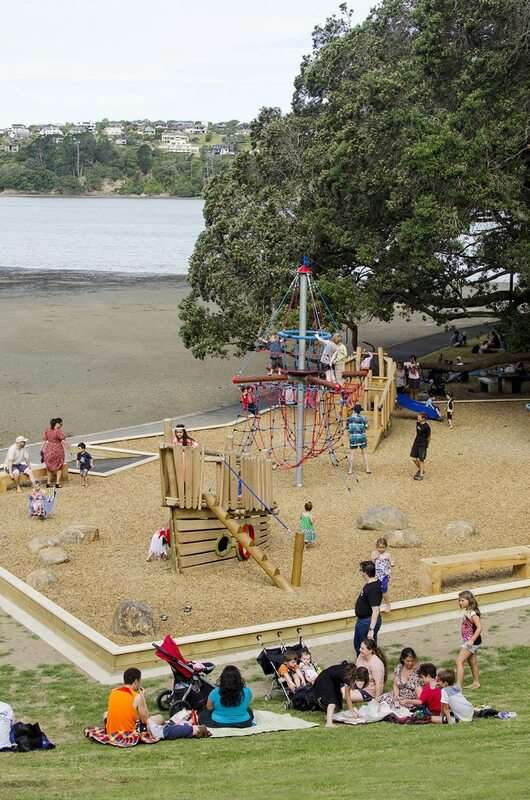 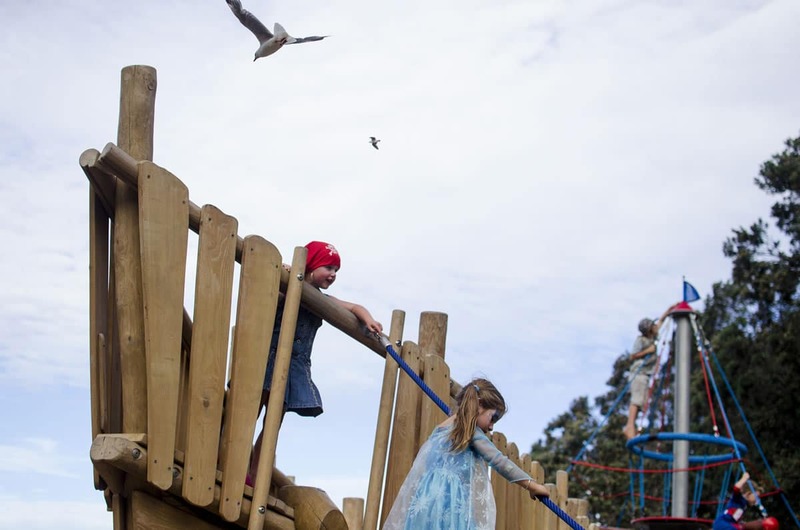 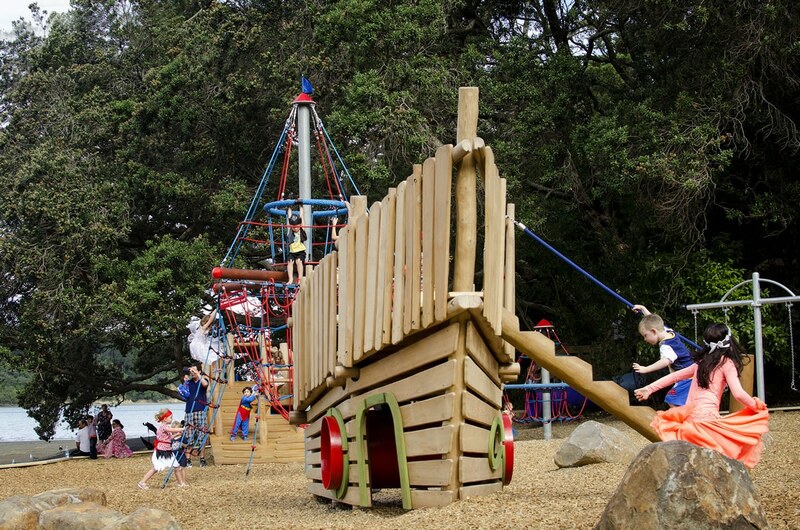 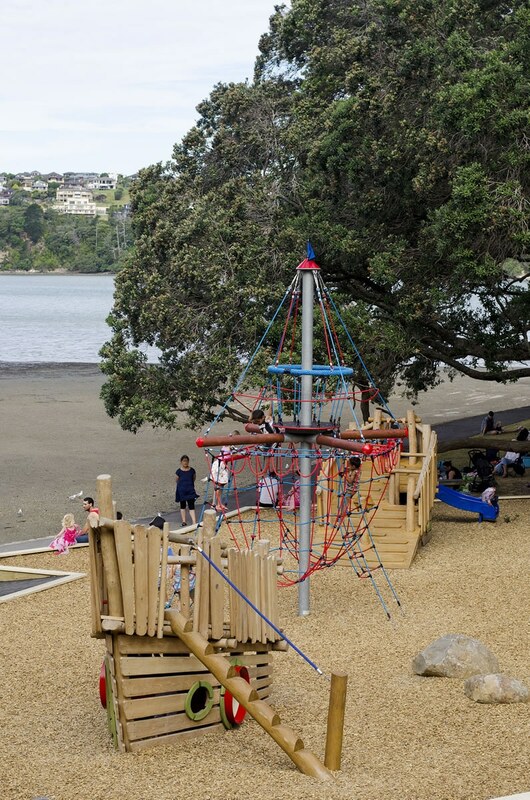 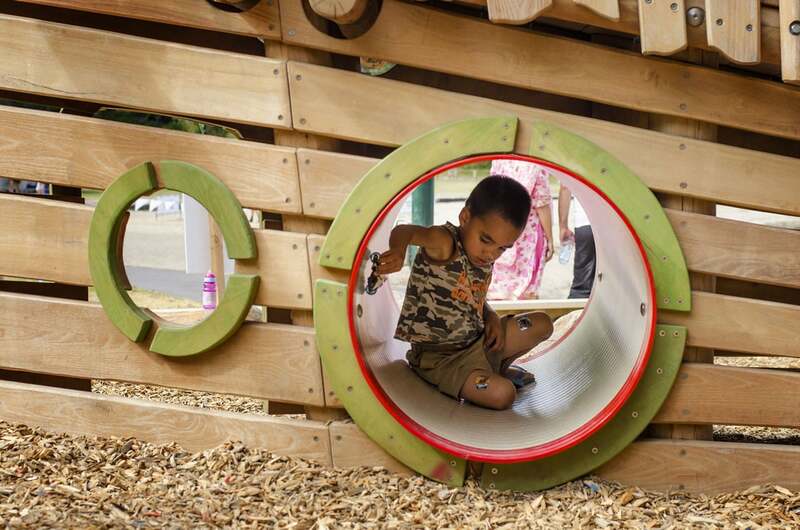 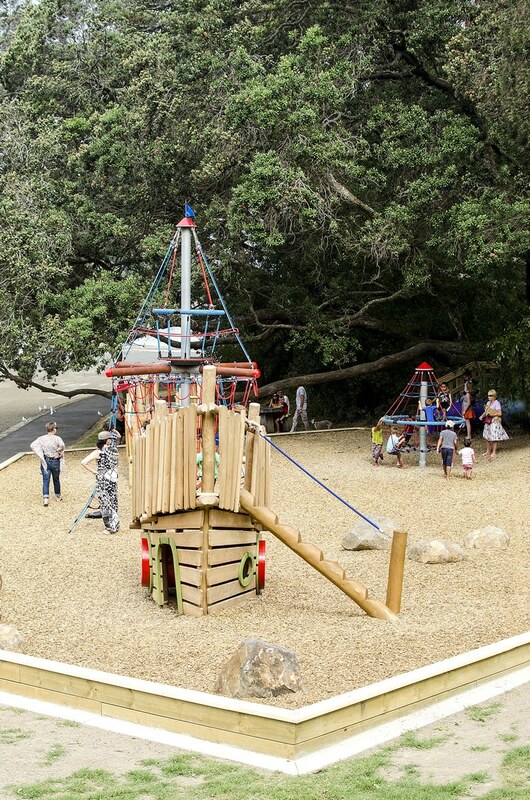 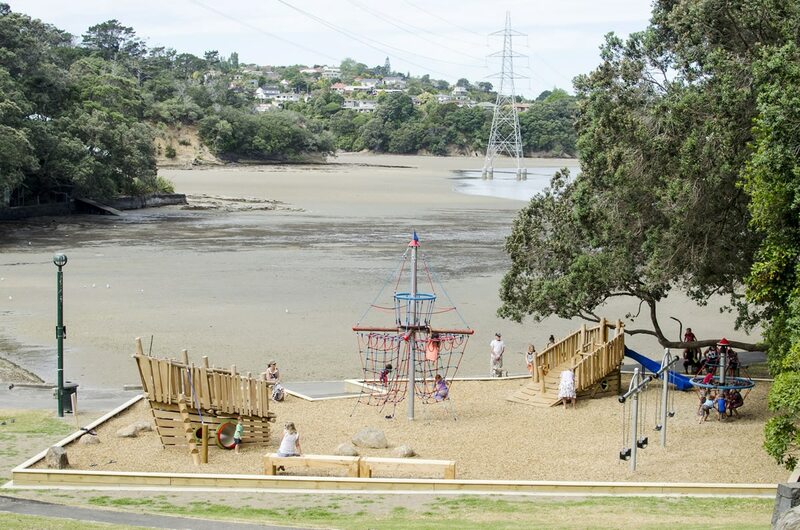 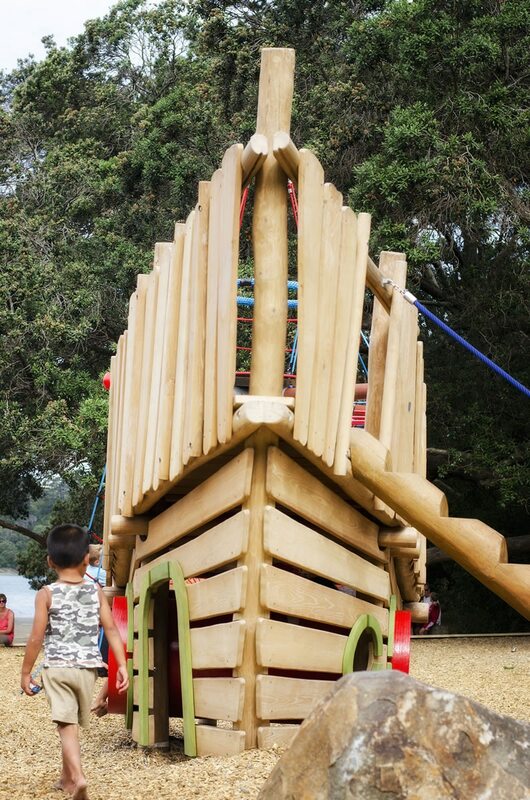 Auckland Council West along with its landscape design team and local board were seeking a vibrant destination play area with a distinct marine theme. 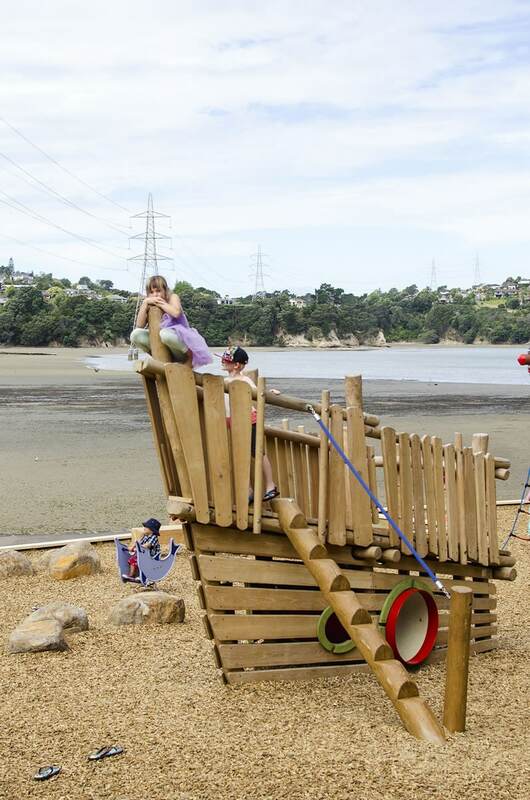 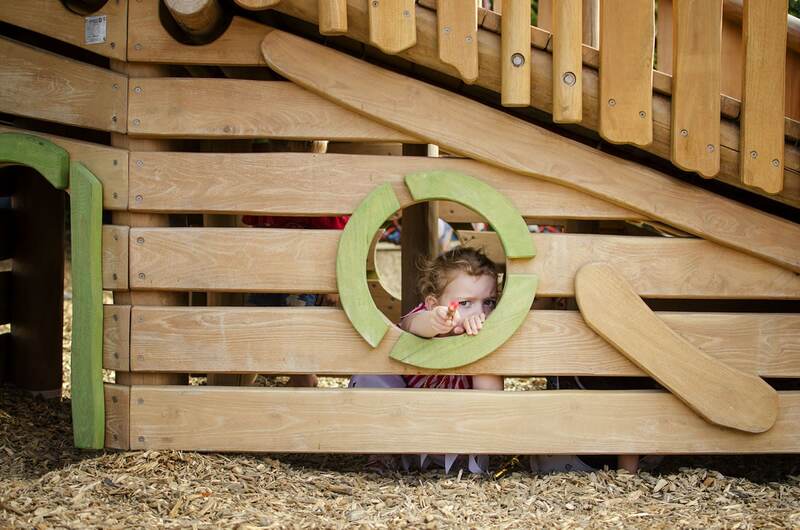 Playground Centre worked within the parameters of the proposed design to identify and place some key play pieces to complement the ‘rustic sunken boat’. 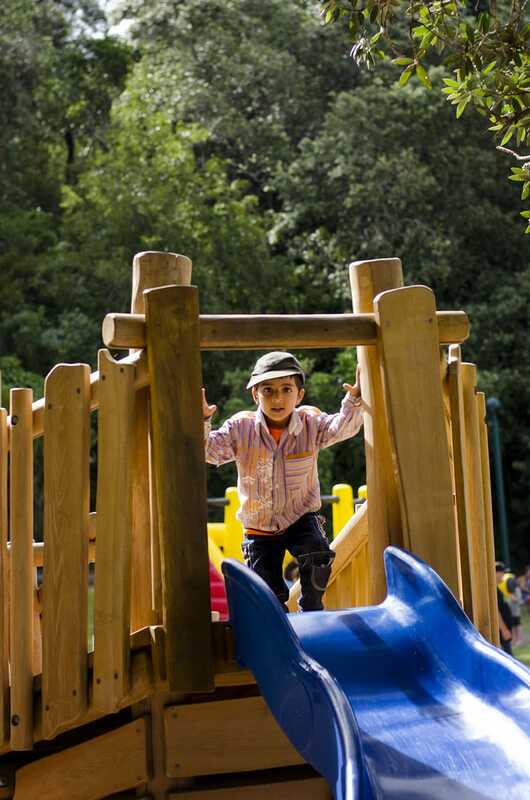 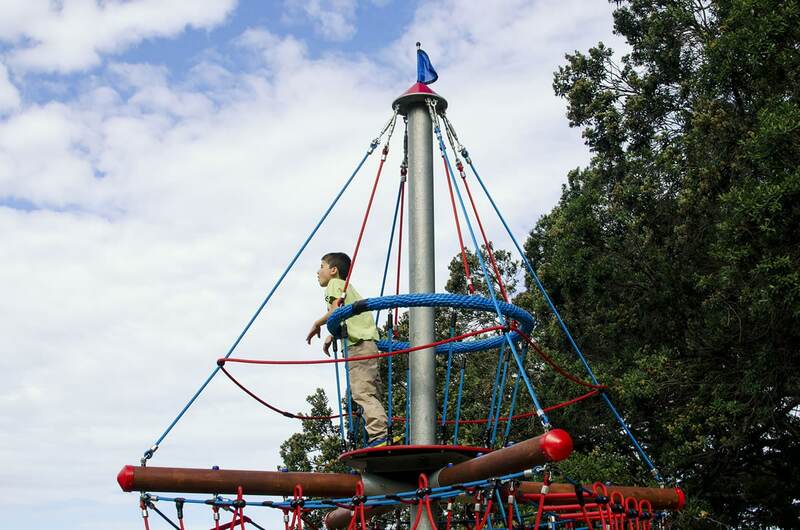 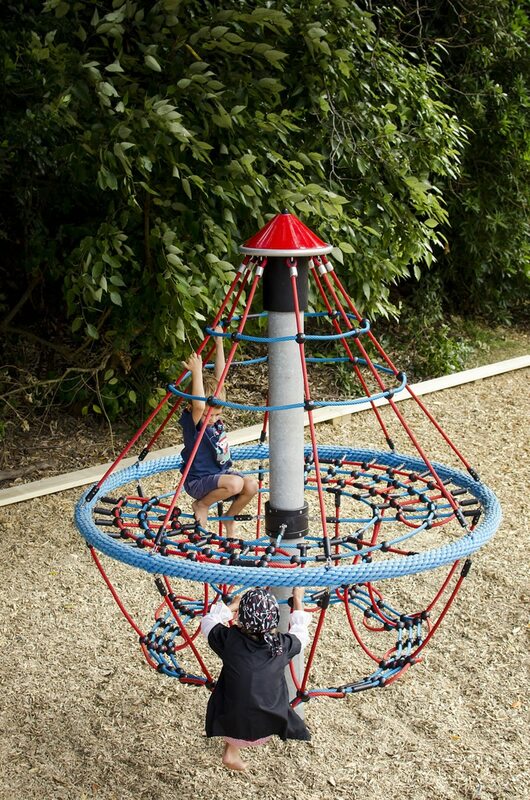 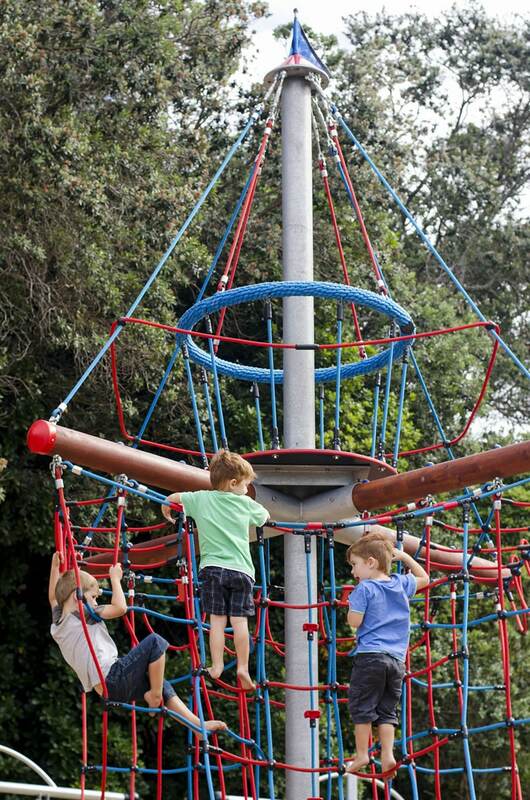 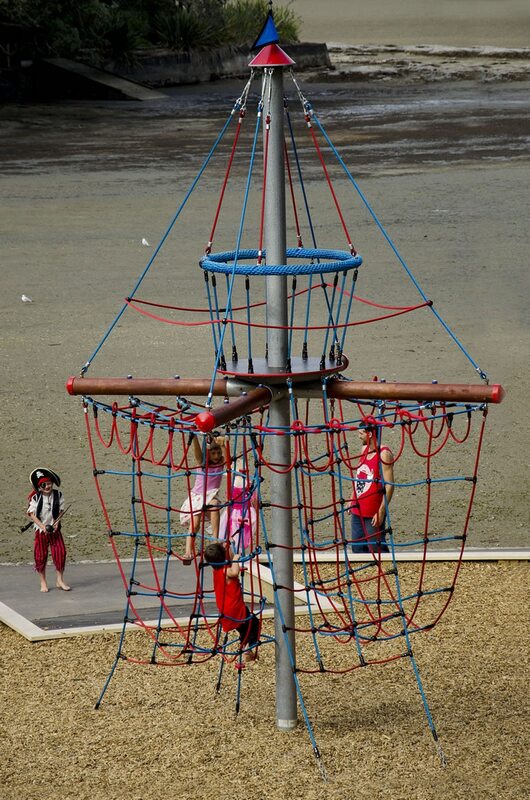 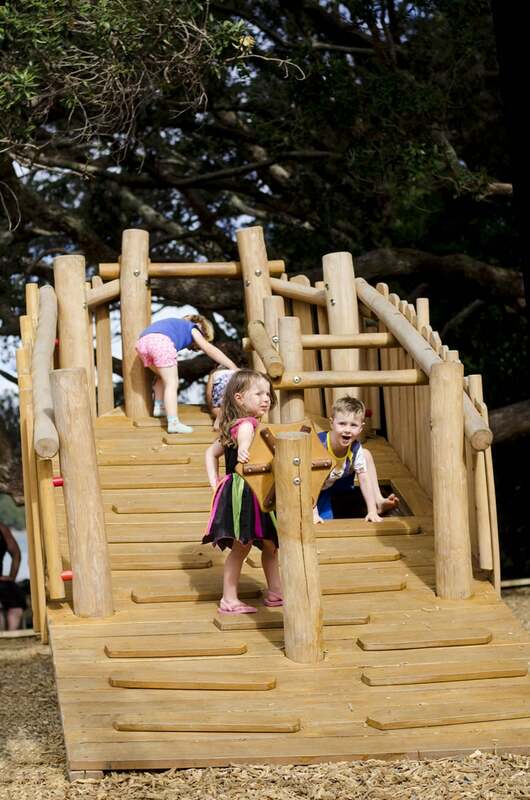 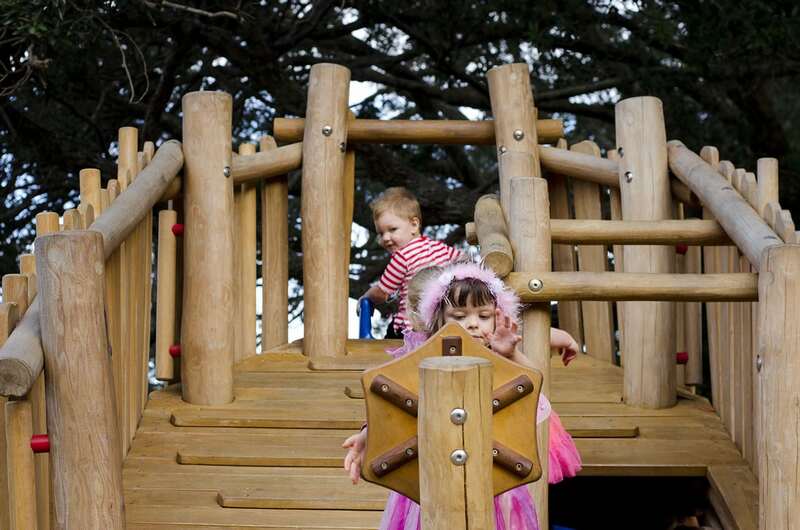 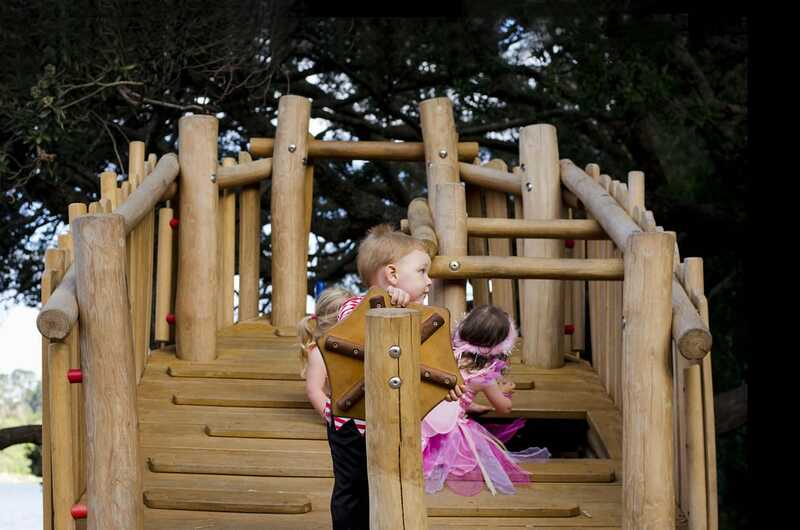 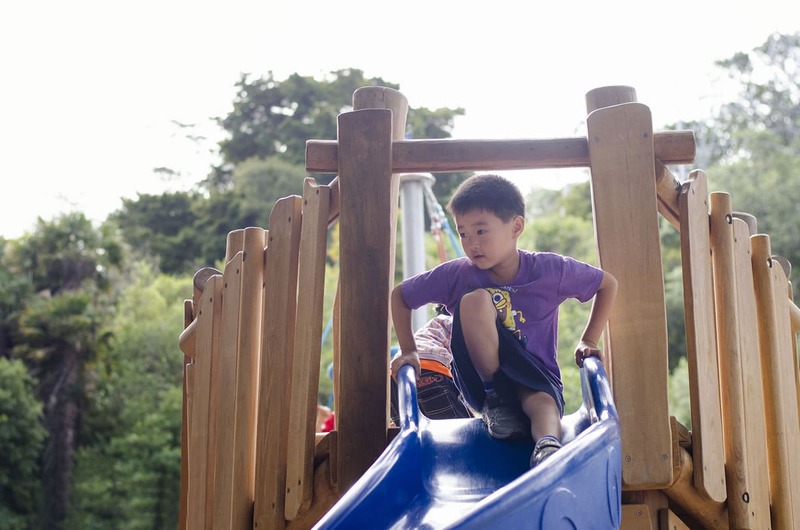 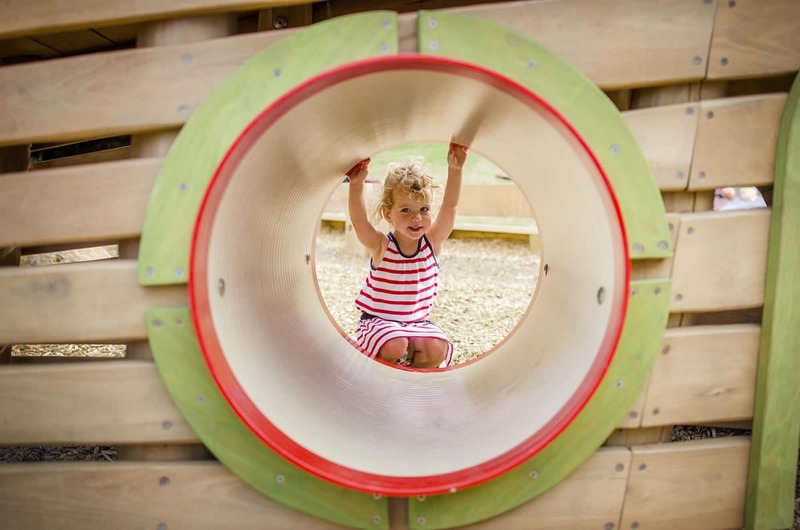 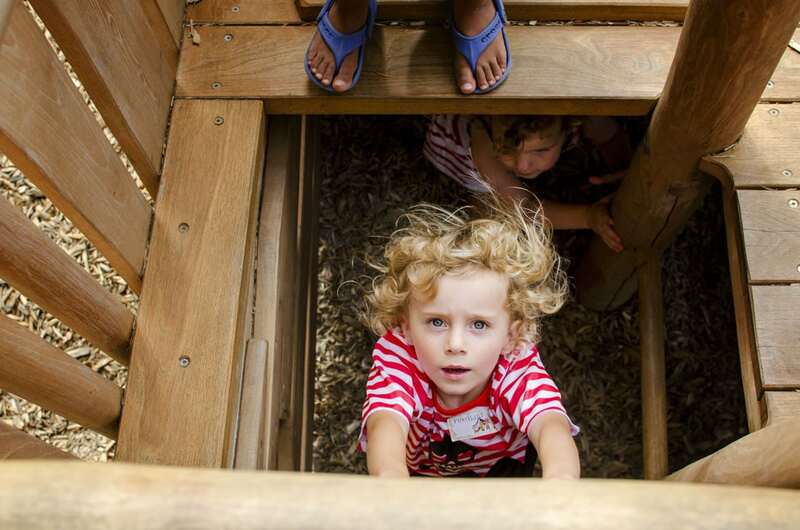 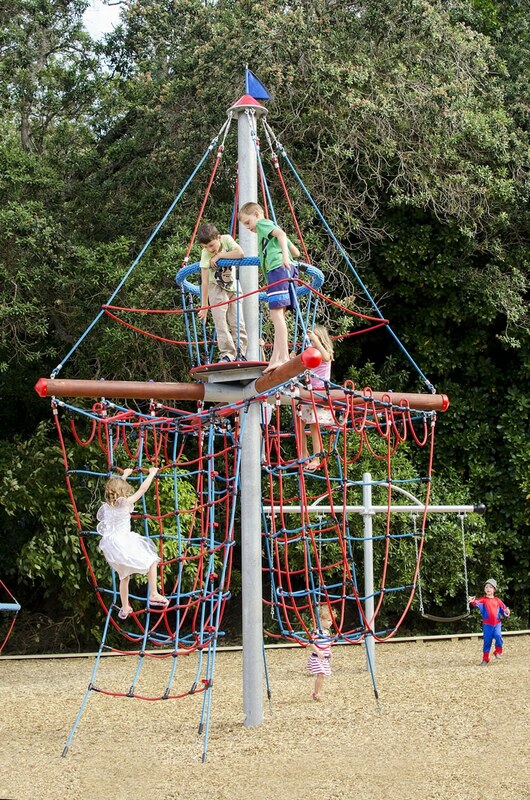 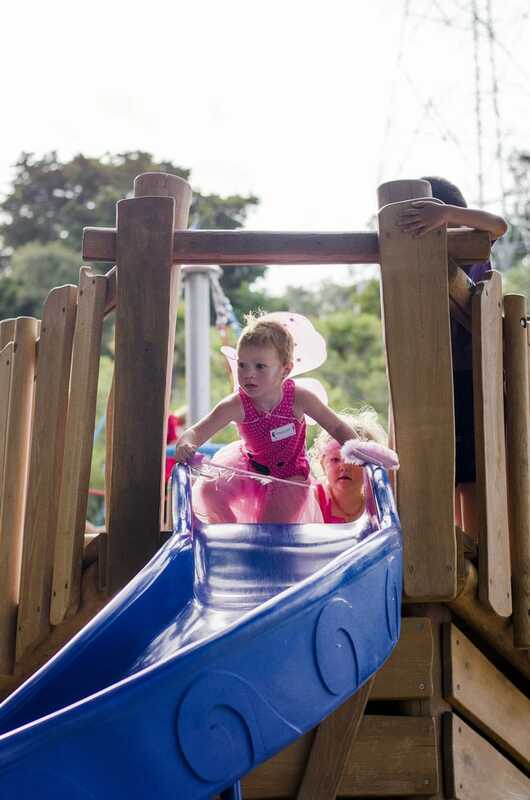 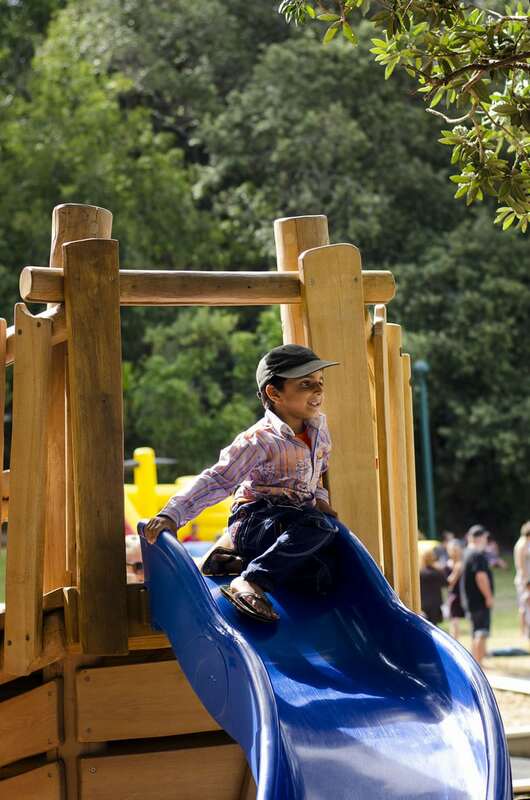 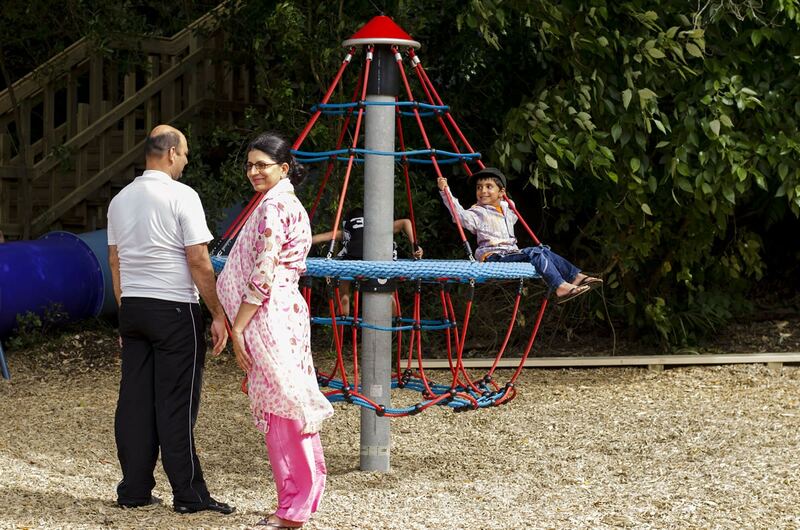 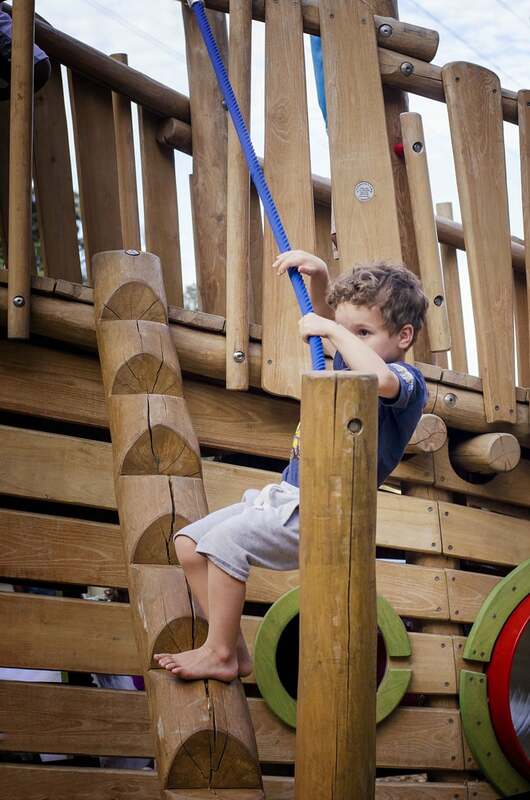 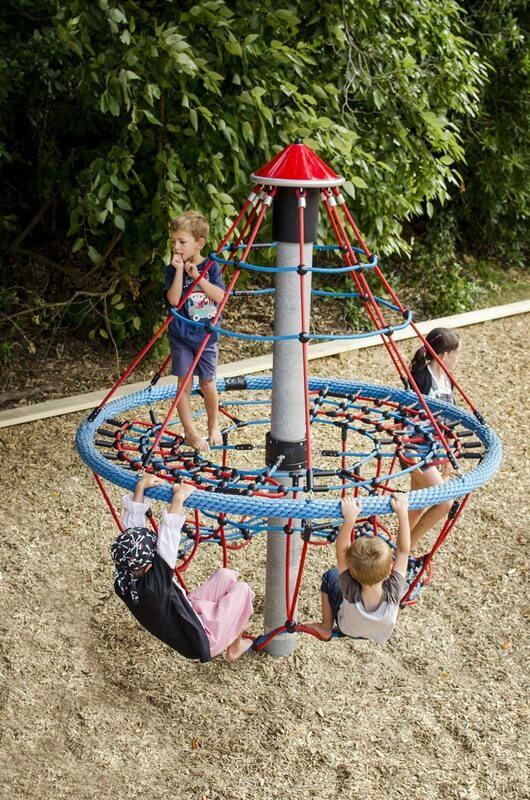 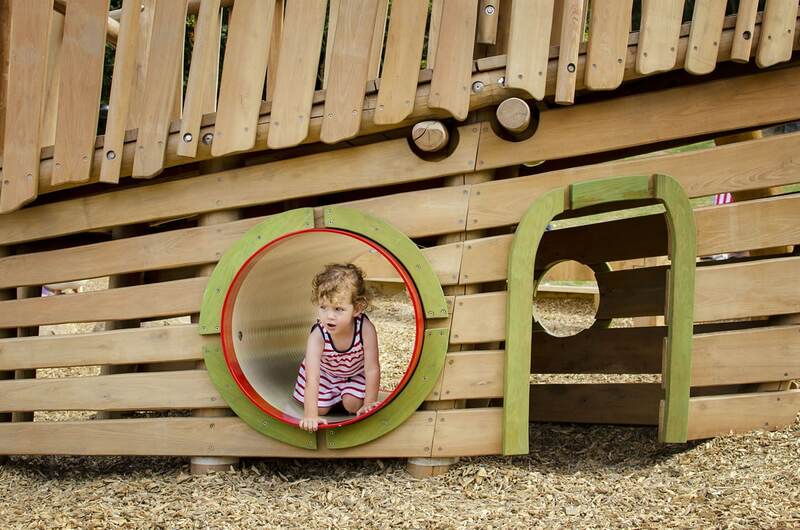 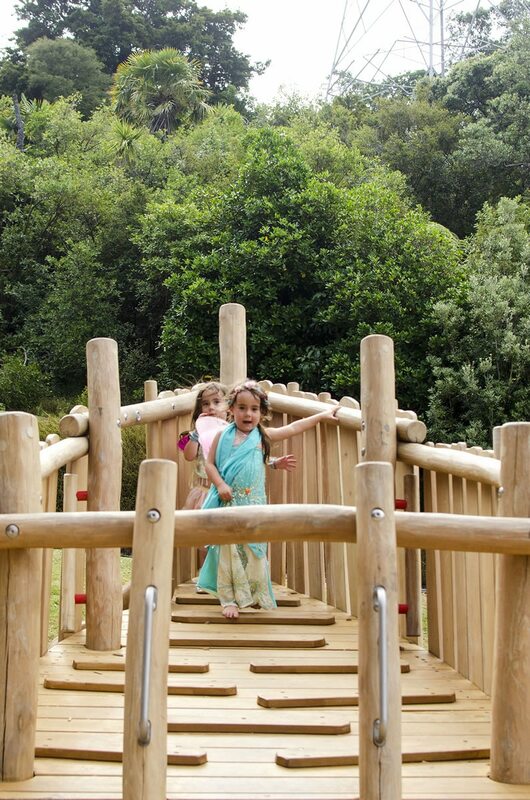 Complemented by a unique central climbing tower, this Reserve now boasts multiple play opportunities, both active and passive which can be enjoyed by users of all ages and abilities!